Soak the basil seeds in 1/2 cup of water. In a pan, add milk, condensed milk, sugar and custard powder and boil well on medium flame. Add the vanilla essence and mix well. Remove it from flame and allow to cool completely and then refrigerate it. 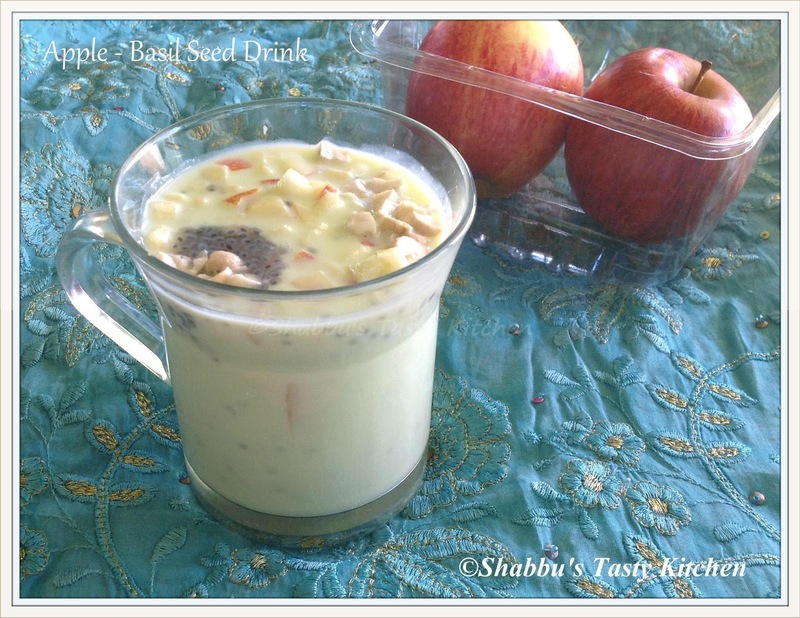 When ready to serve, add soaked basil seeds, chopped apple and cashew nuts and mix well. Pour it in a serving glass and serve..